[0:05] <CeilingKitten> Ah, so i just strip that out. [0:10] <shiftplusone> CeilingKitten, I am a little sceptical, but if you get owncloud to a usable state, please make note of the changed you needed to make from a standard nginx+php+mysql install. [0:24] <shiftplusone> got something better? [0:30] <shiftplusone> haven't heard of it, thanks. [2:27] <apo_> CeilingKitten: I know. [2:27] <CeilingKitten> SpiderOak, is unique in that aspect i think, compared to most of the other sync/hosts. [2:28] <uniqdom> Hi guys... about GPIO maximum draw, one GPIO pin can draw maximum 16mA. all GPIO can draw 16mA at the same time?? [2:29] <shiftplusone> does spideroak allow for 'public' files for sharing without making others make a spideroak account? [2:29] <uniqdom> or the limit is 50 mA as 3.3v pins? [2:51] <CeilingKitten> Apparently friendship is magic, even on irc. [2:59] <shiftplusone> well, yeah, that's the point. I thought you meant it's a rip off in the sense that it's a scam. [3:00] <ricksl> Again not saying it is a bad thing. [3:00] <shiftplusone> but still, I am not sure how you can rip off an open source (or creative commons in this case) project, when you give full credit where it's due. [3:01] <shiftplusone> Is it pure markup of actual cost of manufacturing in italy and such? [3:01] <ricksl> and the fact that it is an identical chip means that there isn't any special support needed for it. [3:05] <shiftplusone> the question is what's reasonable. [3:06] <shiftplusone> nothing wrong with that either, they more than deserve it. [3:06] <ricksl> but I would love to see their profit margin is all. [3:12] <spvensko> how bad of an idea is it to try to use an SSD through the USB port as "RAM" for the RPI by setting it as swap area? [3:14] <shiftplusone> spvensko, I don't know for sure, but I expect it would be useless for anything other than preventing complete lock-up if things get out of hand. For that I would just have a swap file on the sdcard and an appropriate 'swappiness' set, which may already be the case. [3:16] <shiftplusone> I don't know about clusters or their requirements, but it sounds like plenty. [3:16] <CeilingKitten> (offtopic) anyone used mhddfs ? [3:16] <uniqdom> about GPIO maximum current draw, I know that one GPIO can draw maximum 16mA. Does all GPIO pins can draw 16mA at the same time?? or the limit is 50mA as the 3.3v pin?? [3:17] <CeilingKitten> i have a series of drives and debating do i sort of concatenate them ? or just let linux put them whereever it wants? [3:17] <ricksl> Well the swap ssd idea is essentially what those "ssd cache drives" use to speed up performance. But they are almost sacrificial since solid state memory is limited in read/write cycles. [3:17] <shiftplusone> uniqdom, if you stick around, Gordon is the person to ask that sort of question, but I think he's gone for today. [3:18] <shiftplusone> uniqdom, my answer would be that you certainly don't want to draw 16mA from all gpio pins, but I don't know what the max is. [3:20] <shiftplusone> spvensko, it's a mobile phone platform, essentially, so it's not perfect to start off with, throw in the fact that ethernet actually goes through USB, and now you're sharing that bandwidth between the SSD and ethernet. I don't have any numbers though. [3:23] <shiftplusone> CeilingKitten, have you tried this mhdffs you speak of? [3:24] <shiftplusone> spvensko, take a look at some of the other similar platforms like beaglebone black, cubiebox and ordroid (I may have gotten some names wrong), maybe there might be something more suitable there. [3:24] <ricksl> i hear (never attempted) that the pi is a good introduction to distributed computing since each node is very cheap (maybe $45 each). [3:25] <ricksl> hm beagle bone black might be cheaper and carry a lot more performance with it. [3:26] <ricksl> how would you compare a beaglebone black to a beaglebone these days? [3:26] <ricksl> when was the last time the beagleboard got a refresh. [3:27] <CeilingKitten> shiftplusone, I have not but my understanding is its like a poor version of a JBOD raid? [3:28] <shiftplusone> leming, when I looked a few years before the pi all I found were, like spvensko said, gumstix and beagleboards. There may have been things like hackable routers and such, but that's slightly different. [3:29] <shiftplusone> leming, I'll admit I am probably wrong, I am just saying that I couldn't find anything, and maybe I didn't really look hard enough. [3:29] <ricksl> I picked up 4 zipit z2s this christmas at an electronics shop, $5 each. [3:30] <ricksl> I have yet to flash them since i can't for the life of me find the images that you flash. also i only have one micro to mini sd adapter. [3:30] <SpeedEvil> Or there is silly stuff. [3:31] <ricksl> I am sure it isn't the sole reason. but all the embedded dev boards were mainly for android. [3:31] <shiftplusone> leming, what are examples of boards that exceed the pi's capabilities (GPU aside) that are cheaper and existed before the pi? [3:31] <spvensko> is there a good general resource for ARM boards? reviews, release announcements, forums, stuff like that? [3:31] <ricksl> pandaboard ect, there wasn't much in the way of general linux control boards. [3:32] <ricksl> makezine might have something if you don't mind a bit of digging. [3:32] <ricksl> the probably did at least one side by side of a handful of arm boards. [3:34] <shiftplusone> leming, i've acknowledged that there may have been routers and other hackable devices other than dev boards, but that's not exactly what I was talking about. Either way, point taken. [3:36] <johnc-> is there a pi-like device that's got more a bit more oomph for a similar price point? [3:36] <shiftplusone> johnc-, leming just gave this example here http://archlinuxarm.org/platforms/armv5/openrd no idea what it costs though. [3:38] <johnc-> ricksl, does it do 1080p playback? [3:39] <ricksl> it has a graphics core that came from about 2005 i think, and the closest to accelerated decoding is a neon media decoder. [3:40] <ricksl> i have heard good things about odroid. [3:40] <spvensko> maybe i'm missing something but how is cubieboard different from cubieboard2? just the dual-core nature of the cubieboard 2? [3:43] <ricksl> hm i wonder if there is a way to get opencl access on the cubieboard. [3:43] <johnc-> is there a video player that supports it's hardware decoding of h264? [4:05] <alcides> how are you today? [4:06] <CeilingKitten> good =) and you? [4:45] <savid> I have this nice little UBEC to power my RPi. http://www.hobbyking.com/hobbyking/store/__15212__hobbyking_micro_ubec_3a_5v.html. It comes wrapped in a foil lining and shrink-tubed to reduce radio interference. I'd like to be able to mount it board directly on my pcb without all the extra shrink-tube, wires, and choke. [4:46] <savid> Is it a bad idea to remove the heat shrink and foil if I'm using a WiFi dongle on my rpi? [10:14] <lord4163> should my sd card be formatted as mbr or guid? [10:15] <lord4163> MBR I guess? [10:38] <apo_> I bought a USB 3 card reader a while ago, it's glorious. [10:39] <gordonDrogon> lord4163, mbr, but usually no need to format it if you're dd'ing an image to it. [10:46] <lord4163> Okay, it's running now, is it normal that raspi-config boots at startup? [11:22] <bigx> 750ohm? i thought it was 75? [11:26] * [Saint] stands corrected. [11:27] <PredaGR> hello people, I setup hostapd on the raspi but from the raspi to the wireless device it has an average of 150ms ping time while from the device to the raspi there is only 2-10ms ping times, any suggestions what I am doing wrong? [11:34] <kai> apo_: oh, indeed it is..
[11:40] <ShorTie> thats from anotherday, but answers your ?? [11:59] <[Saint]> I just decided what to do with my gps and camera modules. [12:00] <[Saint]> live positioning and video feed from my roomba. [12:01] <[Saint]> The other option is mounting the gps unit on the pi that remote switches my server to make sure its still where I put it. [12:02] <[Saint]> Then I got the roomba idea. I'm sure I could power the pi from the roomba. [12:03] <[Saint]> Then I can make sure its not secretly slacking off while I'm out. [12:15] <[Saint]> I figure I can just loop it. [12:16] <[Saint]> It will most certainly be better for indoor reception that the gps module alone, I don't expect to get perfectly accurate tracking, but its probably going to good enough to gifure out what room its on. [12:31] <gordonDrogon> not GPS - use acellerometers & gyros for positioning inside..
[12:39] <clever> Mjolinor: have you looked into making the rootfs read-only? [12:43] <ShorTie> will wiringPi's lcd.c work these displys ?? [12:53] <[Saint]> that's not necessarily true at all. [12:57] <SpeedEvil> clever: You charge a cap hooked to the GPIO, then you let it discharge through a resistive divider. [12:58] <SpeedEvil> Time how long it takes to flip. [12:58] <SpeedEvil> You measure 5 times, you take the lowest value. [12:59] <SpeedEvil> Or if you're feeling clever, you use DMA. [13:00] <clever> Mjolinor: what db format? [13:06] <nid0> I dunno what your situation is but is a replicated setup gonna do what you want exactly? where's this pi gonna be housed that the power supply's so unstable? [13:07] <nid0> but presumably if you're worried about power loss so badly its somewhere dodgy, using solar, or something simlar? [13:08] <clever> Mjolinor: before they just looked at how much every plant made, and did the math? [13:09] <clever> and now there are 2000 small plants they cant measure in realtime? [13:11] <clever> Mjolinor: so its basicaly just a bank of current clamps that connect to the internet? [13:12] <clever> Mjolinor: how long would the power remain offline? [13:13] <clever> Mjolinor: and do you need to keep recording when the power is 'out' or just save it and shutdown cleanly? [13:16] <SpeedEvil> Mjolinor: you know that you need to balance the cells? [13:17] <SpeedEvil> Mjolinor: Series connections of cells need balancing, or you have to accept not being able to discharge them all the way. [13:17] <SpeedEvil> You mean it's just to do safe shutdown? [13:17] <SpeedEvil> Never mind then. [13:20] <SpeedEvil> Do not use a 5 minute li-po, unless you want it to wear very rapidly. [13:21] <clever> https://www.sparkfun.com/products/10718 400mAh lipo, ~30mins maybe? [13:24] <clever> what exactly got corrupted that badly? [13:25] <clever> was it failing to boot? [13:26] <clever> any obvious errors on the display when it failed to boot? [13:26] <SpeedEvil> You can't safely run the Pi off 4 NiCds at full charge without a regulator of some form. [13:26] <clever> rainbow of death? [13:26] <clever> do you still have some 'dead' cards? [14:45] <bts__> is there any way to debug 'bare metal', self-written Pi operating system on x86 machine? [14:57] <SpeedEvil> .07 is what - 2mm? [14:57] <SpeedEvil> If you actually want a wierd pitch, you could get it made. [14:58] <SpeedEvil> That would be an excellent gag gift. [14:58] <SpeedEvil> Some .095" veroboard. [15:00] <dansan> sorry, I had to step away. Nice one SpeedEvil! [15:23] <bts__> construction 'ldr r5, [r4]' (with some address in r4) works on linux program on pi, but doesn't work on bare metal - any idea? [15:32] <Otaku_> I'm trying omxplayer via ssh. [15:33] <Otaku_> could it be because i use ssh? [15:35] <wbx> Otaku_: did you set amixer cset numid=3 1 for analog output? [15:52] <wiiguy> does raspbian gui start auto ? [15:54] <shiftplusone> wiiguy, not by default, but the raspi-config script which runs on first boot has the option to enable the gui. [15:55] <shiftplusone> Then unless you have enabled it, it doesn't. You can always ssh in and make sure. [16:30] <Orfeous> just wonder if its wurth to put small heatsinks on cpu and gpu? [16:30] <jorick> why is there a linux kernel for the rpi? would it be possible to run a vanilla kernel? [16:31] <IT_Sean> the heatsinks you see advertised serve NO purpose save to separate idiots from their money. [16:32] <jorick> wbx, the embedded board, what does that mean? i lose functionality of the GPIO ports? [16:32] <IT_Sean> jorick: a vanilla kernel would not support the SoC. So... no, not possible at all. [16:34] <jorick> so as long as i compile the kernel from github, everything works? nothing needed in userland? [16:35] <IT_Sean> as long as you use the raspi kernel, you should be all good. [16:44] <[Saint]> most units won't do that, well at least, though. [16:45] <Otaku_> still no need for this passive heatsinks. [16:45] <Otaku_> just for the fun of programming it. [16:45] <[Saint]> I can hold a very lightweight arch install stable at 1.8GHz, but it seems this one unit is an overperformer. [16:46] <[Saint]> I popped another at the same clock setup. So, yah. [16:47] <Orfeous> need heatsinks for only 1.0ghz? [16:47] <[Saint]> No. Not at all. [16:56] <Otaku_> Is the pi using acpi ? [16:57] <raidensnake> anyone know much about EGL and SDL? [16:59] <tig|> Otaku_: why do you want acpi? [16:59] <Otaku_> to now the temperature? [17:00] <halfie> is xbmc well supported on raspbian? [17:01] <Orionid> Looks like the RasPI cameras are available on Newark again. They just shipped mine. [17:04] <jfmherokiller> if you want the temperature Otaku_ why not just pull the information from the the devnode? [17:06] <Otaku_> cuz i don'T know what you are talking about? [17:11] <jfmherokiller> try running this command Otaku_ "/opt/vc/bin/vcgencmd measure_temp"
[17:15] <halfie> shiftplusone, thanks! I am getting raspbmc now. I was using Arch Linux previously. [17:16] <halfie> shiftplusone, is raspbmc a good choice for those 512MB Model B types? [17:17] <halfie> raidensnake, shiftplusone thanks! the download will be done soon. [17:18] <shiftplusone> keep in mind it doesn't make a good general purpose distro. [17:27] <raidensnake> does anyonew here know about SDL? [17:28] <shiftplusone> raidensnake, sure, it would be pretty useless if nobody knew anything about it. Might need to be a little more specific. [17:28] <raidensnake> well jfmherokiller is better at ecxplianing than me. [17:29] <shiftplusone> got the source code handy? [17:30] <shiftplusone> Does the same code, with whatever necessary changes it might need, work on a regular x86 type linux system? [17:32] <shiftplusone> are you only using SDL to create the surface for GLES, or are you drawing with SDL as well? [17:33] <raidensnake> like I said jfmherokiller is better at explaining it than I am. [17:33] <shiftplusone> if you could give the exact problems and the relevant snippets of the code (maybe the part where you initialize SDL and create the surface), them someone might be able to help. [17:34] <gordonDrogon> raidensnake, remember to use 16bpp mode. [17:34] <gordonDrogon> my BASIC interpreter uses SDL for all its graphics & keyboard IO. [17:35] <gordonDrogon> just SDL though - none of that fancy other stuff! [17:36] <raidensnake> but that's it. [17:36] <shiftplusone> got some error codes from functions you're calling or anything? [17:37] <shiftplusone> have you stepped through it to see where it fails? [17:37] <jfmherokiller> you mean using gdb? [17:38] <shiftplusone> It takes a few minutes to get the hang of the basics. [17:38] <shiftplusone> in gdb, break main, to set the breakpoint on main, then you can 'step' through and see exactly what's going on. [17:39] <shiftplusone> dw, they are probably there. [17:42] <Orfeous> how important is those SD-card speeds for the like raspbian OS? [17:42] <shiftplusone> Orfeous, not very. [17:43] <shiftplusone> raidensnake, set them. For example, 'break main' will set a breakpoint on the 'main' function. [17:43] <gordonDrogon> if you're interested in my stuff, download RTB and look in screenKeyboard.c. 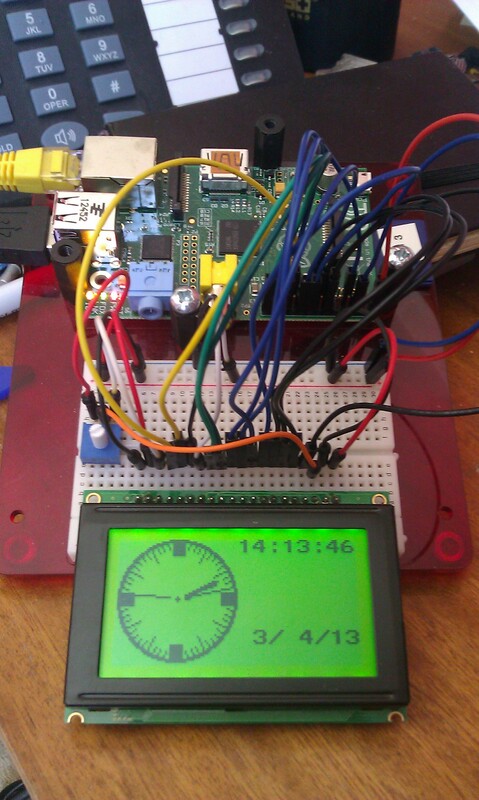 It did take me some time fiddling with the SDL settings to make it work reliably on the Pi. [17:44] <shiftplusone> You can also use something like eclipse, which is bloated, but has a decent debugging interface. [17:49] <Orfeous> shiftplusone, okey.. can you please give me an or more tips for a good working card(s)? [17:49] <Orfeous> 8 or 16gb? [17:49] <Orfeous> class 10 maybe? [17:50] <shiftplusone> class 10 usually work fine, but some people run into problems when overclocking and using class 10 cards. [17:55] <oddover> hi all. I have an idea I wanna try, and I wanted to see if anyone's done it. I have an ARM-VT8500 that I'd like to rebuild into a rpi netbook. [17:56] <Orfeous> how much space does the raspbian image installed? [17:58] <Orfeous> ok so 8gb will do just fine? [17:59] <shiftplusone> Orfeous, I use 8GB cards and that's enough for me, but make sure you don't use NOOBS. [17:59] <shiftplusone> raidensnake, on what function call does it fail? [18:01] <shiftplusone> Does anyone know if you still need to run the bcm functions before using opengl es? [18:02] <shiftplusone> so you have ' bcm_host_init();'? [18:02] <lee> anybody around who is familiar with ncid in raspbian? and if so, do you know what I have to do to get the ncid-modules installed? [18:05] <shiftplusone> have you tried running with and without X and at different resolutions? [18:07] <shiftplusone> Yup, I think I give up. It has been a while since I fiddled around with it. [18:08] <oddover> ok, I have a different question: if I wanted to use the screen from a netbook as the screen for a RPi, I'd probably need some sort of adapater, right? [18:08] <diverdude> Hey, anybody ever ran a streaming server on raspi? [18:09] <shiftplusone> diverdude, it's usually more trouble than it's worth, unless there is some sort of hdmi adapter for the exact screen. [18:15] <kai> diverdude: try it then? [18:44] <shiftplusone> raidensnake, maybe a small test case that would allow others to replicate the problem. Just include the bare minimum you need to get the same error. [18:49] <halfie> how do I disable updates in raspbmc from the command line? it is totally unusable (I have bad internet connection). [18:53] <raidensnake> hey gordonDragon are you there? [18:54] <shiftplusone> halfie, could try #raspbmc as well. [19:01] <dagerik> hello. i have a weak minilaptop unable to decode 1080p. but my raspberry pi can. is there a way to decode on the pi, and use the X output buffer to view the decoded video? [19:03] <davezZz> have you tried using GMAbooster? [19:12] * SpeedEvil hands raidensnake a stake. [19:21] <zero_coder> pksato : what did u do with ur rpi? [19:23] <dagerik> hello. i have a weak minilaptop unable to decode 1080p. but my raspberry pi can. is there a way to decode on the pi, and use the X output buffer to view the decoded video? [19:28] <pksato> dagerik: NO. data rate of decodec video is to high to transfer via USB enternet. [19:28] <bts__> ethernet on pi goes via usb? [19:30] <pksato> but, rpi can be used to non real time reeconding device. [19:44] <shiftplusone> nice, I prefer openelec as well. [19:49] <halfie> < 100MB and works without a fuss. [19:53] <clever> johnc-: how are you transcoding on it? [19:54] <clever> or are you doing decode only? [19:57] <johnc-> with a pi? [19:58] <chithead> what was a phone chip? [20:32] <IT_Sean> hey is for horses. [20:33] <shiftplusone> raidensnake, what was the problem? [20:37] <raidensnake> what else can it be? [20:56] <savid> Out of curiosity, would it be theoretically possible to hook up a display from an android tablet to the raspberry pi's DSI port? [20:57] <savid> I just have an old tablet sitting around doing nothing. Thought it'd be nice to have a portable monitor for the pi. [20:57] <SpeedEvil> savid: basically, no. [20:58] <SpeedEvil> The chances of broadcom providing open drivers is regrettably very, very small. [20:58] <SpeedEvil> In principle, install a VNC client on the tablet. [20:58] <CeilingKitten> Anyone know of a way to force apt-get to always think i want the suffix --no-install-recommends added to my commands? [21:00] <SpeedEvil> Unfortunately, not likely. [21:01] <clever> SpeedEvil: on a related note, is it possible to change the number of lines on the composite video frame? [21:09] <clever> wow, they are still selling that thing for $174!! [21:11] <johnc-> how many tuner cards?? [21:12] <clever> and this thing is going for $164!!! [21:14] <clever> why would he even put the starting bid so high? [21:26] <wiiguy> what is a good temp for the cpu of the rpi ? [21:27] <ShorTie> 104 out there and i'm turning the heaters on, lol. [21:38] <clever> odd, my pi cpu is stuck at 2.6 degrees! [21:38] <Dooley> I have a very stupid question. I am connecting via X ssh to my raspberry. Can I start a graphical application (e.g chromium) and keep control over the shell while the application has started? [21:39] <clever> ok, why do i have 2 thermal zones? [21:39] <Dooley> is there any difference between the two? [21:40] <clever> which isnt present! [21:44] <Dooley> Am i allowed to another very stupid question? 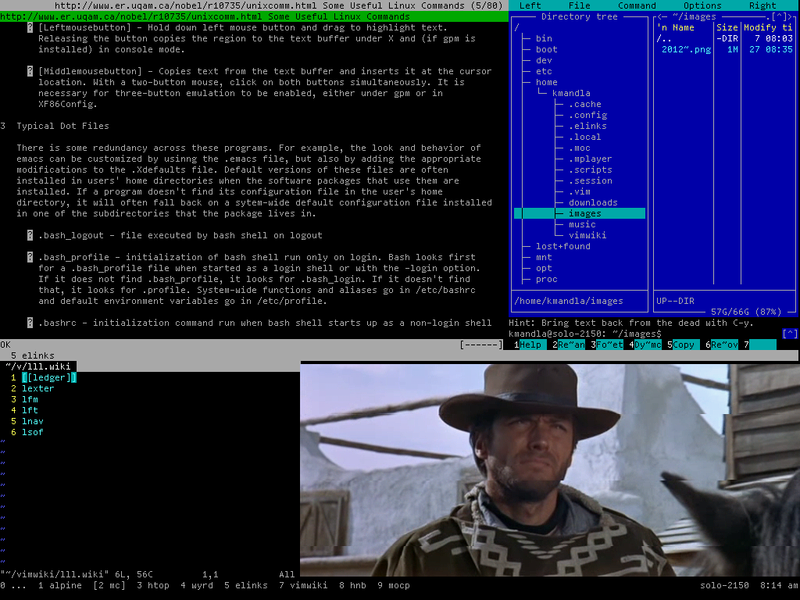 [21:48] <shiftplusone> Dooley, the movie is mplayer going straight to the framebuffer.... can't do that over ssh obviously. [21:49] <clever> Dooley: does your weather app need X? [21:50] <Dooley> I don't even have my program yet! [21:52] <dagerik> Dooley: this path of learning will continue on for many years! [21:54] <gordonDrogon> Dooley, what kind of screen? [21:55] <shiftplusone> gordonDrogon, speaking of displays and you being around... anything already in wiringpi for the 128x64 graphic displays? [21:56] <gordonDrogon> shiftplusone, something like this: http://unicorn.drogon.net/128x64.jpg ? [21:56] <Dooley> How cool is that! [21:57] <gordonDrogon> then yes, there is something that will drive it. About 120fps too. [21:58] <gordonDrogon> I've not documented it yet, but the code is all there in the devLib. [21:58] <shiftplusone> gordonDrogon, ah, excellent, thanks. [21:58] <shiftplusone> gordonDrogon, the actual interface is pretty much the same as the character displays, right. Just different commands? [21:58] <shiftplusone> clever, ah, good to know. [21:59] <gordonDrogon> shiftplusone, it's completely graphical - not at all like the text ones. [21:59] <gordonDrogon> I have a simple 8x8 font for it as part of the driver. [22:00] <shiftplusone> gordonDrogon, I am only talking about the parallel interface and initialization of them. I have written a small AVR ASM library for a char display, so wondering if they work in a similar way, that's all. [22:02] <gordonDrogon> shiftplusone, oh - you poke pixels at it - however you need to poke them 8 bits at a time. [22:03] <gordonDrogon> so to print a character, you need to poke all the 8x8 pixels to it. [22:03] <gordonDrogon> Or use a plan B which is to keep a software copy of the buffer then blit it to the display in a single operation. [22:04] <shiftplusone> gordonDrogon, isn't there also a char mode it can enter? [22:05] <shiftplusone> ah, looking at your putchar function now, nvrm. [22:05] <gordonDrogon> shiftplusone, no char mode at all. [22:07] <shiftplusone> gordonDrogon, thanks for the help. I need to drive one of these with an STM32 board and that's a good reference point. [22:07] <gordonDrogon> shiftplusone, there're really odd things - actually 2 separate 64x64 chips driving each half of the display. [22:08] <gordonDrogon> and they're rotated the wrong way - or so it seems. [22:10] <gordonDrogon> I have some other drivers for colour LCDs too - with touch screen, but I've not released them yet. [22:10] <shiftplusone> ah, I have seen something like that on an eevblog teardown as well. [22:12] * IT_Sean has a small LCD he should try to see if he can get to work on a raspi. [22:12] * IT_Sean has NO documentation on it, however. [22:12] <shiftplusone> Not a generic one? [22:13] <IT_Sean> I'll have to check the board for any model identifiers. It was salvaged out of another device, though. [22:13] <shiftplusone> gordonDrogon, would a 5v display work or would I need to make sure it's a 3.3v one? [22:14] <Dooley> the right command is Ctrl-A-shift, ain't it? [22:15] <gordonDrogon> shiftplusone, that display is a 5v one - same as the text display, make sure it can't write - tie r/w to 0v. [22:16] <shiftplusone> gordonDrogon, thanks again. Maybe asking a little too much at this stage, but do you have a bit of a schematic of what goes where. I know I can figure it out from the source and the image, but it would be nice if there was a schematic. [22:18] <shiftplusone> fair enough.... what about the source for the clock example? [22:19] <gordonDrogon> comments at the top give the connections. [22:20] <shiftplusone> couldn't ask for more, excellent. [22:22] <gordonDrogon> if you have enough RAM on the stm32 board then keep a software copy of the display and update it all at once. [22:22] <gordonDrogon> otherwise you need to read a byte off the display or/and the bits then write it back again - painful & slow. [22:22] <gordonDrogon> so I treat the display as write only here. [22:23] <Dooley> clever, is there any way to resize my vertical split? [22:23] <gordonDrogon> but you could get it down to 1K if you use 1 bit per pixel - which is what the display is - I was just being lazy using 8bpp. [22:25] <gordonDrogon> bts__, gave up on asm code years ago. I don't need it anymore. not enough brain cells left..
[22:29] <shiftplusone> gordonDrogon, in the example comments you have GPIO10 twice (to RS and CS1), is that intentional? [22:32] <gordonDrogon> 10,11,12,13 -> CS1, CS2, STROBE, RS. [22:33] <gordonDrogon> it's also commented at the start of the driver file. [22:33] <gordonDrogon> bts__, Yes, much easier in C.
[22:36] <shiftplusone> Hm, on one of the displays CS 1 and CS2 are labeled as Enable and R/W. Different name for the same thing or different type of display? [22:36] <gordonDrogon> bts__, well I wrote the digitlaWrite() function. [22:37] <gordonDrogon> bts__, not really.... once I understood how the hardware worked the rest was quick and easy. [22:37] <shiftplusone> Hm, time to dig around the datasheets a little more. [22:37] <gordonDrogon> maybe there are variants. [22:39] <shiftplusone> gordonDrogon, does your display have a serial mode? [22:41] <gordonDrogon> although I don't think it does. [22:44] <gordonDrogon> possibly not the same display then..
[22:49] <bosnjak> i need some help. I have installed arch on rpi. Now I am trying to connect the microphone. 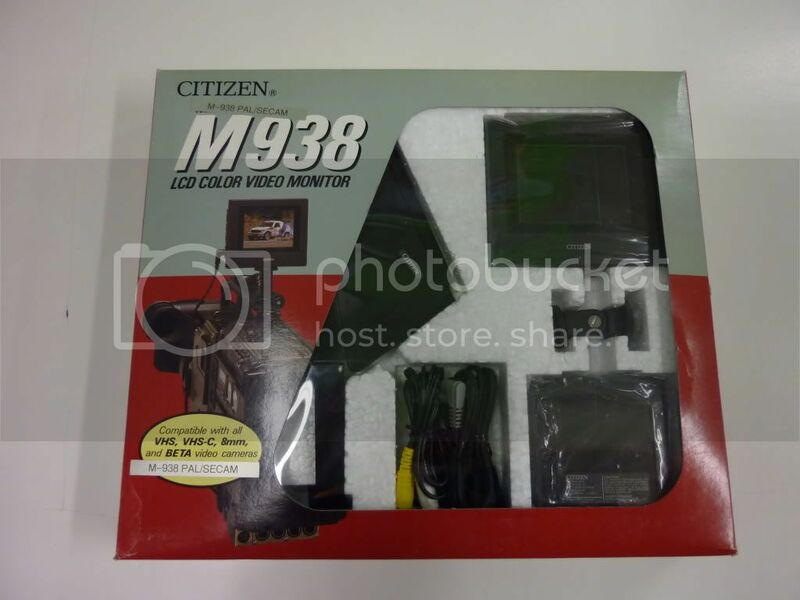 I have an Logitech webcam with builtin mic, and i see online that its working for other people. I connect it to USB, but "arecord -l" doesnt list any device. How do i make arch recognize the mic? [22:58] <bosnjak> bts__, hm, i get the "audio open error: no such file or directory"
[23:00] <raidensnake> has anyone ever come accross this? [23:11] <gordonDrogon> johnc-, we all started somewhere. [23:12] <gordonDrogon> get yourself some LEDs, resistors, buttons, wires and a breadboard. [23:15] <johnc-> and he's all "yeah so I just wired into the control panel buttons" and I'm like "wait, what?! you can DO THAT?!" [23:15] <gordonDrogon> you can, yes. [23:19] <gh12as> Hi guys, wonder if anyone can help me out please? I'm putting together a media centre with Raspbmc/Xbian (undecided) and having trouble with the external USB HDD. I suspect it's not getting enough power, but the PSU is 2A through a powered hub. Is there a minimum wire gauge that I should be using? [23:22] <gh12as> It's not being powered through the RPi, if that's what you mean. [23:22] <gordonDrogon> indeed - powere it separately. [23:23] <gh12as> Yeah, I've got a butchered USB hub feeding power to both the HDD and Rpi. [23:23] <gh12as> But I'm wondering if the problem is that I've got standard USB gauge wire feeding the entire power supply. [23:23] <gh12as> Or trying to, anyway. [23:26] <gordonDrogon> is it getting warm to the touch? [23:27] <gordonDrogon> and do you have a voltmeter? [23:27] <gh12as> Not that I've noticed. And yes, I have. [23:29] <gordonDrogon> just measure the voltage at each end of the cable them. [23:30] <clever> johnc-: ive still got a microwave here that was made in 86! [23:33] <gh12as> gordonDrogon: Okay, so what would I be looking for please? [23:33] <clever> what voltage are you reading? [23:37] <GuidovanPossum> is there any way to start programming with rpi if you don't physically have one, there isn't some emulator is there? [23:38] <SpeedEvil> You can do most programming on other devices. [23:38] <SpeedEvil> What is your desired goal? [23:38] <gh12as> Yep, I'm getting about 5.4v at both ends. [23:43] <Datalink> does anyone have a good USB mobile charger that stays powered when hooked up to mains? [23:46] <gordonDrogon> gh12as, shade high, but at least you can rule-out the cable. [23:48] <gh12as> Well actually, perhaps not exactly, but very similar. [23:49] <gh12as> Followed by the same codes as in that post - 'Sense key 0x4' 'ASC=0x44', etc.